The other week, I took out all the insides of my Egg to give it a good cleaning. Get rid of all that ash that builds up between the firebowl and the base. 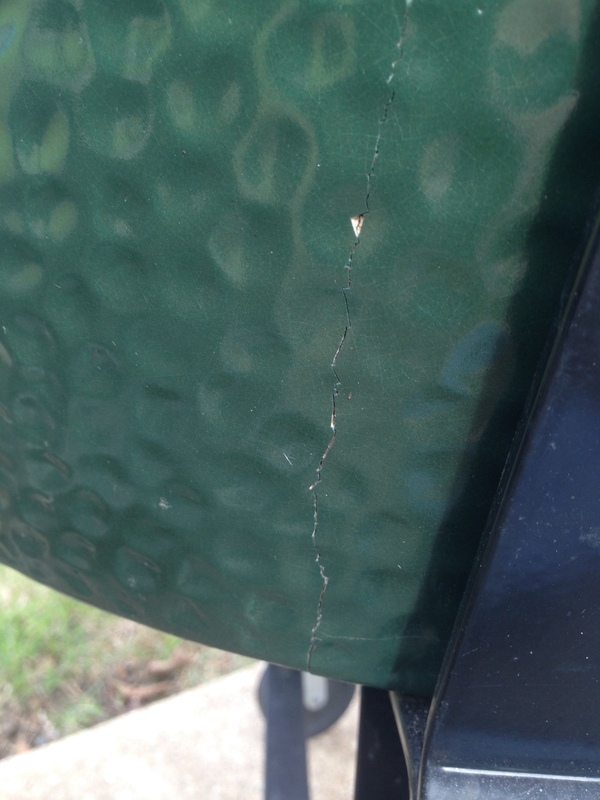 That’s when I noticed this crack along the bottom on the inside…. 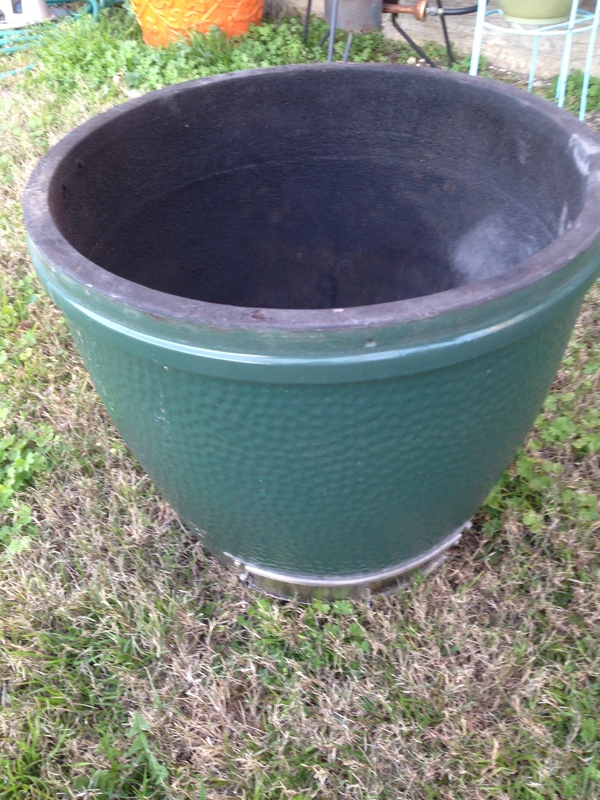 So I looked at the outside..
One of the reasons I got a Big Green Egg and not another Kamado style cooker was their lifetime warranty on all ceramic parts. 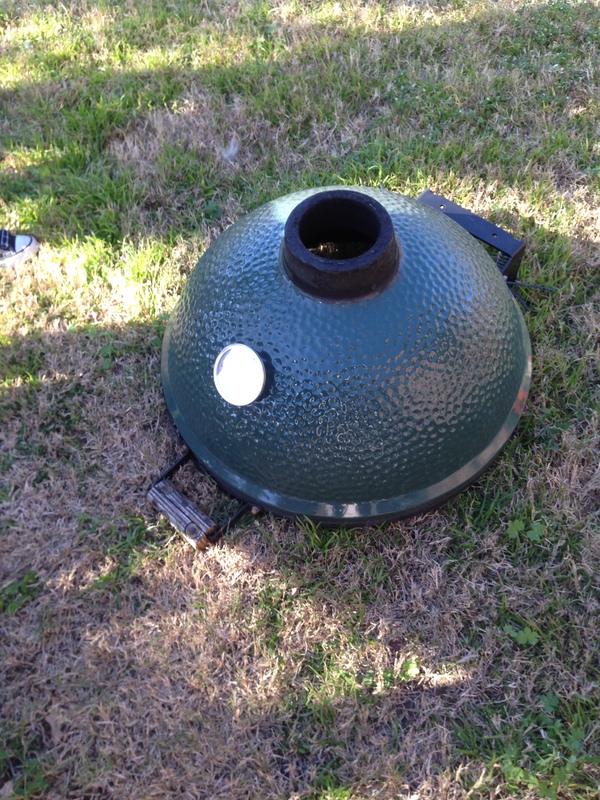 When I was looking to get one, the only other really big name brand out there was Kamado Joe, if I recall correctly, and their warranty at the time was only 5 years. Had I gone with them, I’d be in trouble now as my Egg is older than 5 years. So I called up Bruce at BGE (I’ve got his number around here somewhere if anybody needs it, but I’m not going to post it here) and he was very nice and he worked with me to get a replacement. I was worried because I now live in Dallas and my Egg was purchased in another town over 8 hours away. That was not a problem though as Bruce told me I could work with whatever vendor I preferred in the DFW metroplex. I chose to use Elliot’s in Plano and they got me hooked up in no time. First thing you want to do when replacing the base is to lock the hinges. This is done by putting those white plastic thingees back on that came with your Egg? Wait…you don’t have them? After two moves, neither do I. Or if I do, I have no idea where they are. I just used a bunch of zip ties to ensure that the springs wouldn’t open up the metal bands once I removed the top. Maybe I should have taken some pictures of that step. Step two, unscrew the bolt on the bottom band and remove the top. Now you are left with just the base. Top removed. You can always tell when somebody has a toddler because there are always toys laying around. Remove the base from the nest, replace it with the new base, align the top back on and you are almost done. Tighten the bolt back up and cut off the zip ties (or take off those plastic pieces if you happened to still have them) and you are ready to cook. Man…that is way to clean. I need to break it in ASAP! It didn’t take long and although I did it by myself, the job would be much easier with two people. Although there wasn’t much my lil partner could have done to help, he was preoccupied. 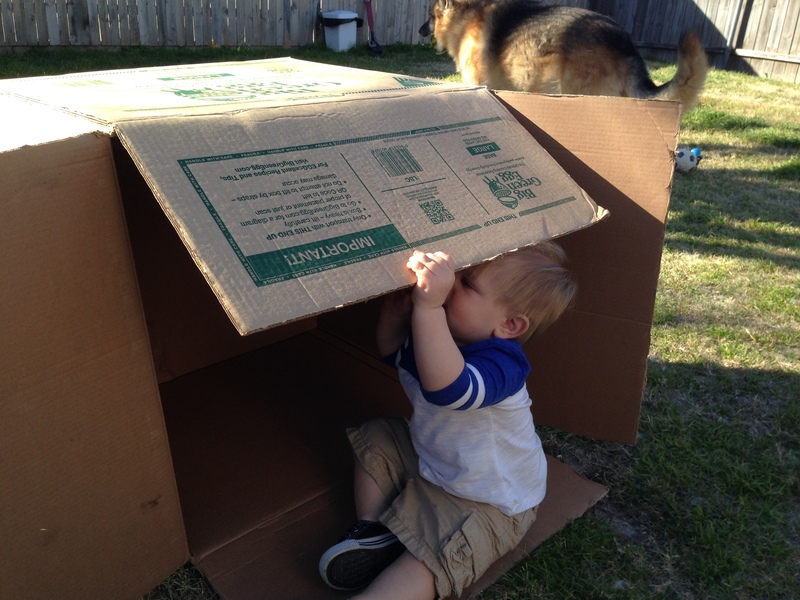 What is it about kids and boxes? 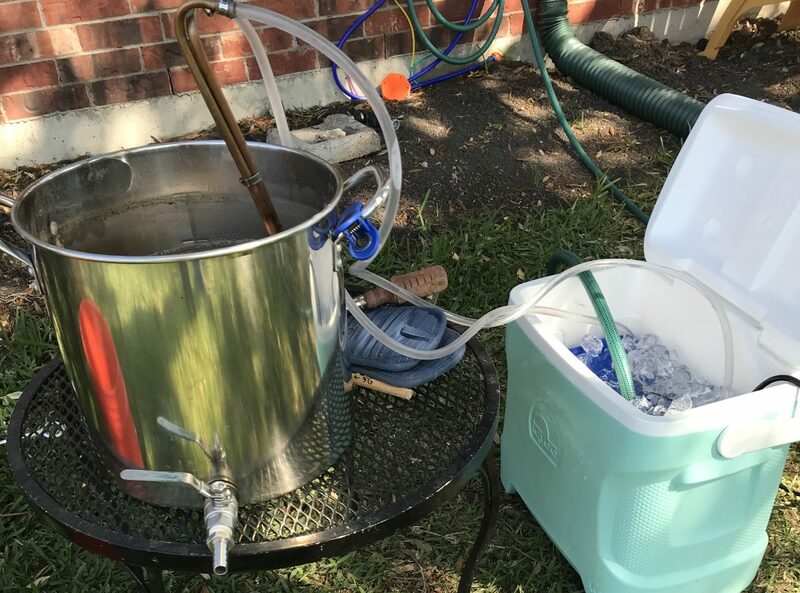 I didn’t have a chance to break it in last night as Mrs. G wanted to try a new recipe out for King Ranch chicken, but I will tonight with some burgers. 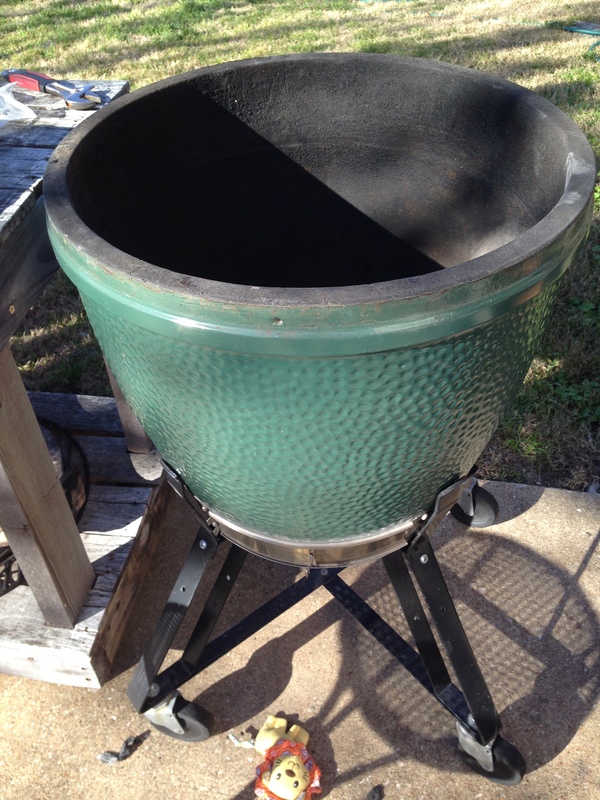 I’m excited to cook on an Egg with a gasket again after burning mine off years ago. Now what to do with this? I’m thinking it might make a great planter. In my best Mr. Bill voice: OH Nooooooooo! The BGE warranty sure is nice. 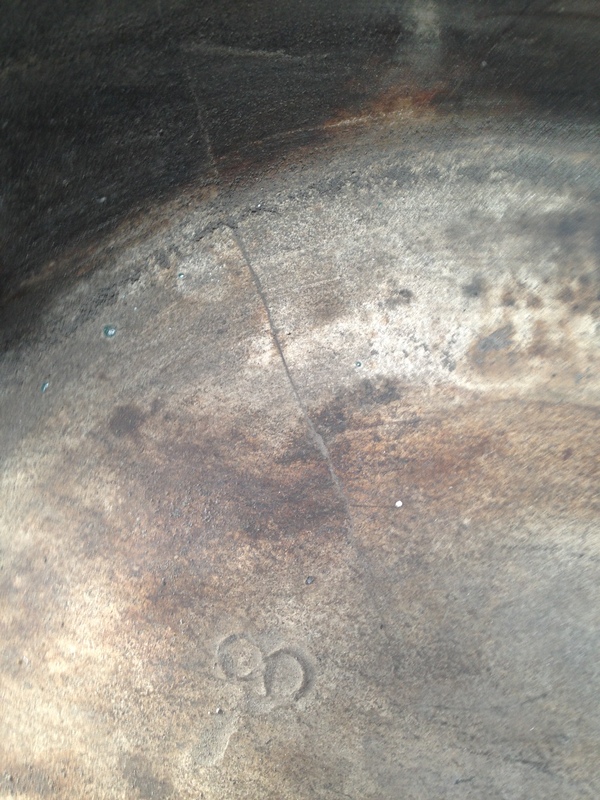 One more crack and I’ll be talking with our local dealer about a new fire ring. Well this is good news. 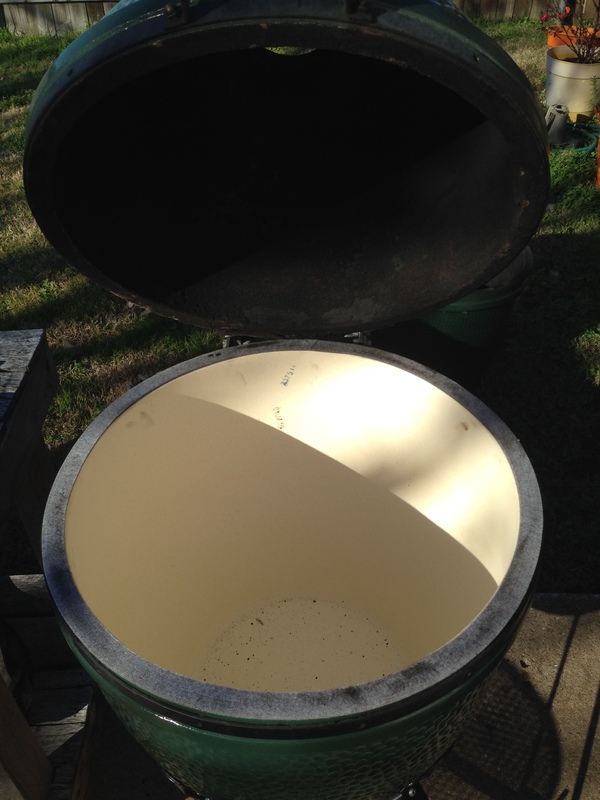 I have a nine year old BGE, and was wondering if they really replaced ceramic parts without a hassle. They didn’t give me a hassle and I didn’t have my receipt and I’m not sure I even registered mine. They just asked me where I purchased it and for some pictures. Well that’s good news in a world gone screwy. Good to see they honor their warranty. Yup, if that don’t give them the edge over the kamados, what does. Even so, I have still to purchase one. They’re expensive man. But I know they’re worth it too. I just need to man up my wallet and get it done I guess. See if you can find an Eggfest near you. You can pick one up for a deal that’s only been used for a few hours. It’s always good to have a helper to check and make sure that you didn’t leave any parts in the box. Yes, what is with kids (and cats!) and boxes??? Glad you got it replaced without a hassle.